History buffs and those who love sunshine and good times find exactly what they crave at Sandcastle Cove in New Bern, North Carolina. A picturesque resort escape located on the scenic Neuse River, water lovers find their muse with boat access and kayak rentals. A short 45 minute drive has you ocean-side and near the intra-coastal waterway where you can jet ski, sail, fish, water ski or windsurf. The resort amenities you find at Sandcastle Cove will have you wanting to return regularly. You'll enjoy indoor and outdoor pools, exercise room, sauna, hot tub, a playground, tennis courts, boat ramp access, miniature golf, a clubhouse and pizza parlor. 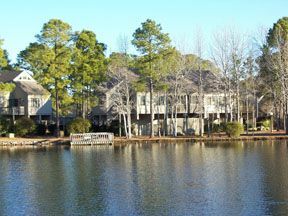 Buying one of these New Bern timeshares for sale means you can enjoy the marinas and golf courses in the area every year. Timeshare unit amenities provide comfort and giving you the feeling of a true vacation home. You'll enjoy a full kitchen with dishwasher and microwave, washer and dryer, televisions and DVD, VCR, free Wi-Fi and screened decks for viewing spectacular sunrises and famous coastal Carolina sunsets. Nice touches like air conditioning and hardwood floors add that special appeal. 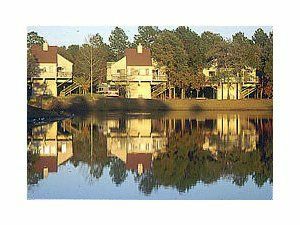 These New Bern timeshares for sale will have everyone looking forward to your next escape. Visit the North Carolina History Center for tours and for re-enactments of earlier times complete with costumed characters for authenticity. The Ghosts of New Bern tour is a must for anyone who loves a great ghost story. The Firemen's Museum is thrilling for kids of all ages. A horse-drawn carriage ride rounds out a perfect opportunity for sightseeing. In New Bern you'll also find the Pepsi Store at the Birthplace of Pepsi Cola. This combined store and museum features fascinating history of the area along with a cold beverage. Tryon Palace is another fascinating historical site you won't want to miss. The NC Maritime Museum appeals to those who love all things maritime, including learning the history of some of the areas famous pirates. 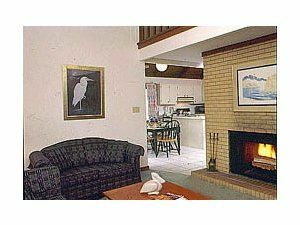 Everyone will love this getaway at Sandcastle Cove. Contact Sandcastle Cove Specialist Today!